Hillside washers are used to evenly distribute load in cross bracing applications. 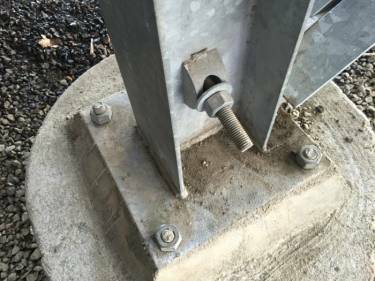 Diagonal tie rods or cable assemblies with welded eye bolts are frequently used to support wall columns and steel beams in metal building construction. The outer curved surface allows for a nut be tightened at a variety of angles. This helps to reduce installation time and field adjustments. 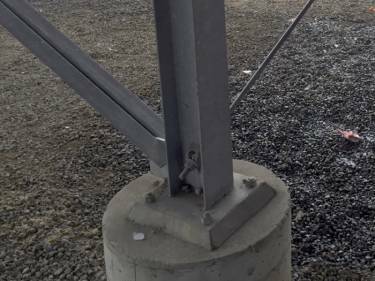 Turnbuckles and clevises are other components commonly used on steel structures.